Community Stuff are an Eastbourne based not for profit company who have applied for grant funding to run great projects in the community for the past six years, working in partnership with many local organisations including Children’s Centres, Mind, and local Foodbanks. The exhibition Changes in my Lifetime, is our second Heritage project, and is all about the changes in our society. Things have changed greatly in the past 90 years. Homes, cars, fridges, phones, everything has moved on technologically, as well as people’s day to day life. Community Stuff have been funded by Devonshire West Big Local to record the life stories of older residents to capture these changes before they are lost. Come along and listen to their stories ! The oral histories will be housed at the end of the project in Heritage Eastbourne’s digital store for future generations. We will also be taking the opportunity to show our first heritage exhibition, Secret Catch, alongside. 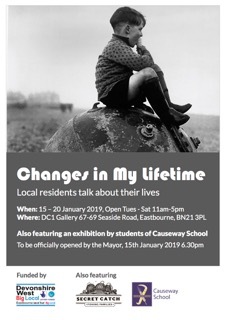 Secret Catch is an exhibition by Causeway School pupils about the history of Eastbourne Fishing families, and will include paintings by Community Stuff’s creative director Clare Hackney-Ring. 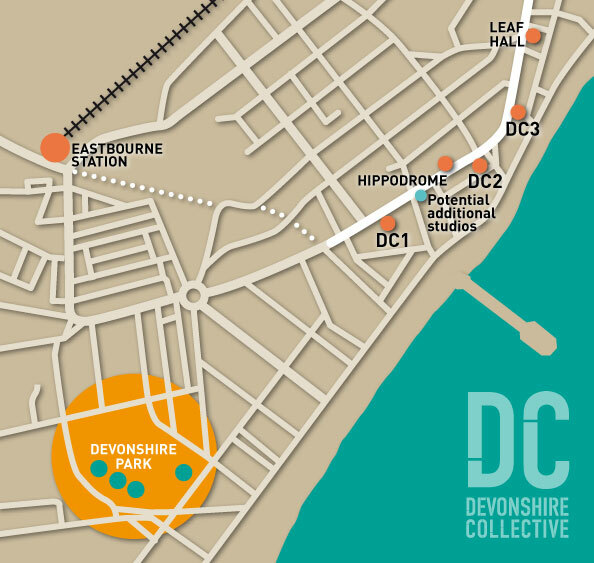 The show will be officially opened by the Mayor of Eastbourne on Tuesday 15th January at 6.30pm.